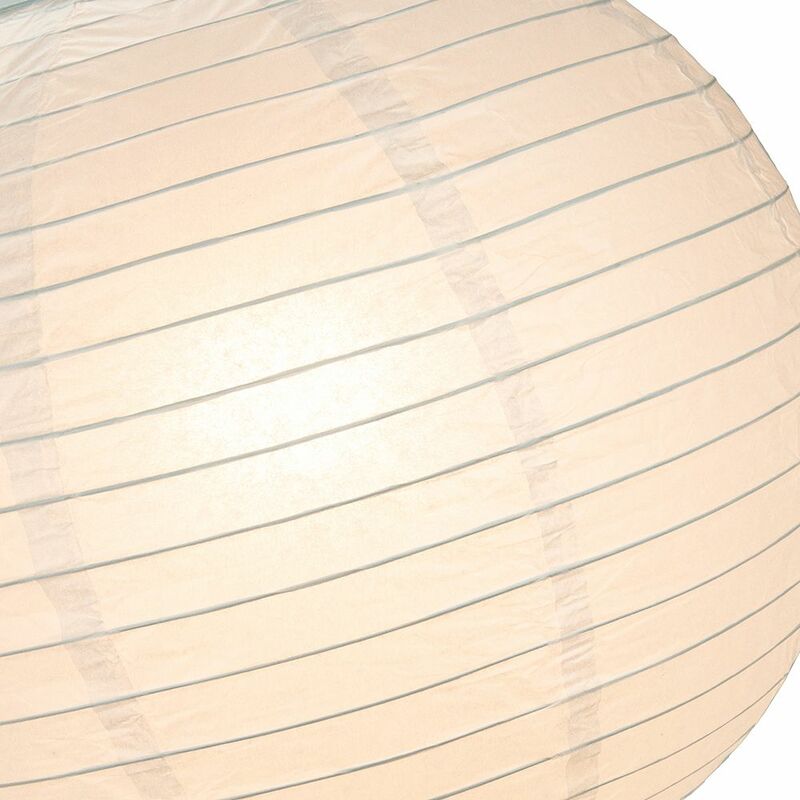 Classical Circular White Bamboo Style Ribbed Paper Lantern Pendant Shade - 14"
Classical and traditional circular white bamboo style ribbed paper lantern pendant shade. 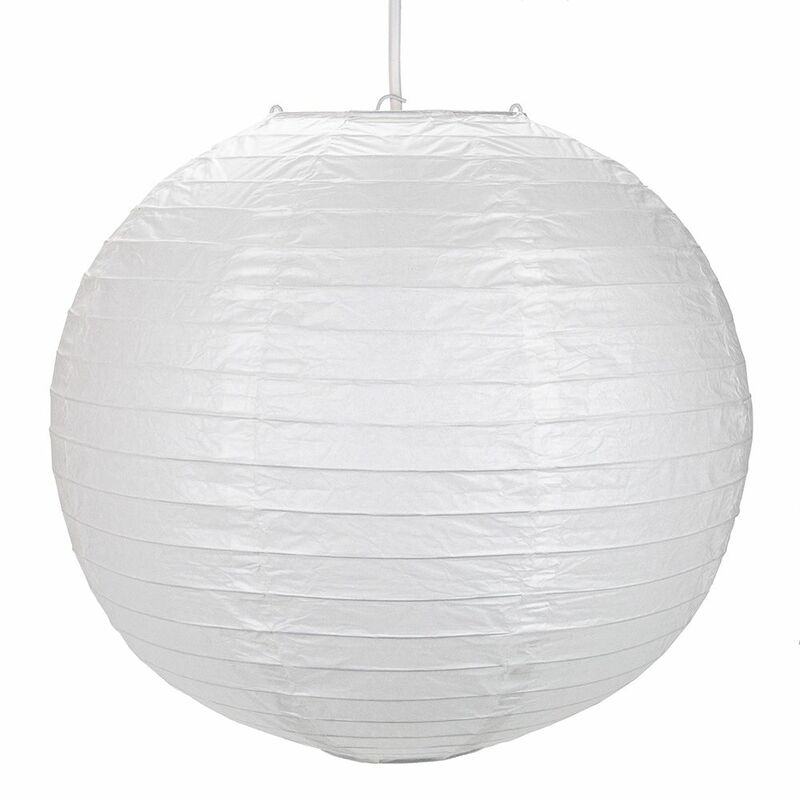 Can be used in the home as a standard pendant shade or creates a fabulous lighting display for wedding marquees and parties. The product dimensions are: Height - 32cm, Depth - 35cm, Width - 35cm. 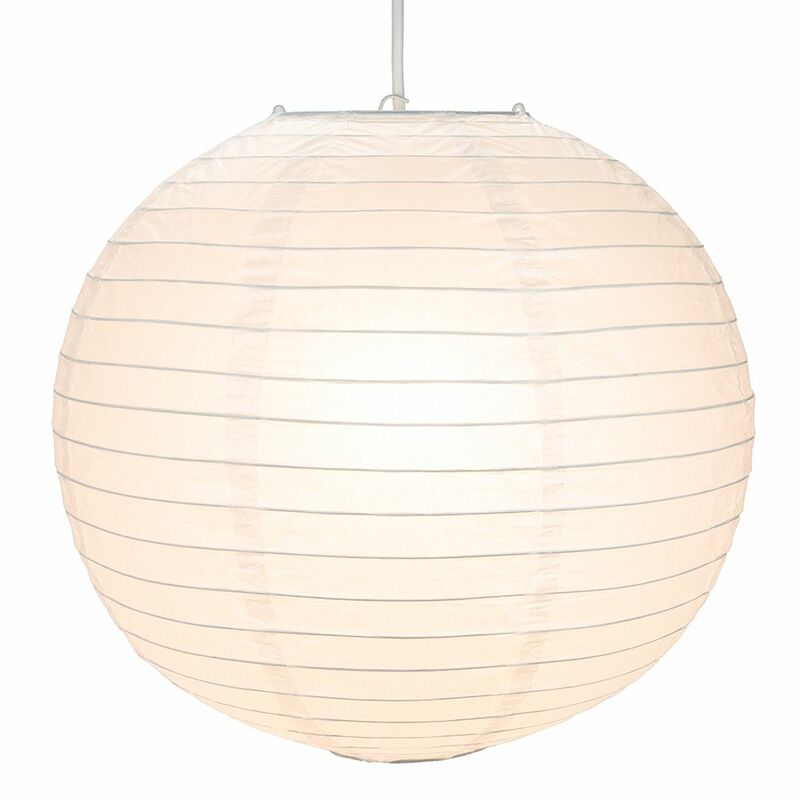 Comes complete with a wire expander to maintain its shape and is ready to hang immediately.